Our work with apprentices is split into two main categories. Bringing through the apprentice voice at work, and the apprentice voice at college. Within the Scottish Education system there are a number of types of apprenticeships, ranging from Foundation Apprenticeships, to Modern Apprenticeships and newly formulated degree-level Graduate Apprenticeships. The apprenticeship model means apprentices divide their time between formal education at school or college, and on-site learning. They can be represented at work by their trade union, and are represented nationally, and in their role as students, by the National Union of Students Scotland through the National Society of Apprentices Scotland. These organisations provide political representation for apprentices and campaign nationally for the rights of apprentices at work, access for apprentices to discounts and bursaries, and on any and all legislation affecting the regulation of apprenticeships. The National Society of Apprentices Scotland has a Leadership Team drawn from workplaces across the country who are practicing apprentices, and who provide direction and oversight to the Society’s work. Our project around bringing through the apprentice voice at work focuses on engaging employers in an apprentice development package. Employers look for their apprentices to be articulate, confident and able to participate effectively in quality improvement and review. Apprentices themselves need to have the space and the capacity to have their say about how they learn at work, and how what they do at work matches their learning from college. sparqs delivers a training package aimed at developing these capacities in apprentices, and building structures to incorporate the apprentice voice with employers. 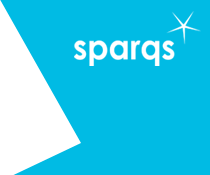 Upon agreeing a program of work with employers, sparqs then goes out and delivers training on site aimed at developing the abilities of apprentices to feed back on their learning, recognising that they are the experts in how they learn best. From talking about improving processes on site, to how their learning matches the work set by their school or college, to broader issues about apprentice welfare, this work package seeks to develop confident, articulate apprentices who are even more of an asset to their employer. This is part of delivering a quality apprenticeship. Apprentices often have quite a different college experience to full-time or other part-time students. Often working through the holidays other students have, and being divided between multiple different employers during the time they are not studying, colleges and college students’ associations face a number of challenges in hearing the voice of apprentices. Course representative meetings are often not at times that apprentice representatives can attend, and many apprentices feel more like workers than students. Our work package in this area seeks to develop the capacity of colleges and college students’ associations to work more closely with their apprentices, tailoring their representative structures or training their staff to deal better with their needs. With the apprentices themselves, we work to develop, through training, their capacity to feed back on issues related to enhancing their apprentice experience. Whether this is making sure their college curriculum lines up with the needs of their employer, or ensuring that they receive the best possible careers support from their institution, we prepare apprentices to make their collective voice heard across the college. Since 2016-17, sparqs has offered materials to enable colleges to train Apprentice reps. The materials include an introductory presentation, designed to be used by colleges to generate initial interest from apprentices. It focuses more on introducing the apprentices to the concept of learning and teaching and how they can effectively feed back about their experience at college, whilst also introducing them to the role of the apprentice rep. The materials for the training session, aimed at newly elected apprentice reps, contains a presentation, workbook and evaluation form. The training aims to develop apprentices’ confidence in their rep role, as being an apprentice rep for the first time can be a daunting prospect. We work with the apprentices to develop their capacity to feed back on issues related to enhancing their apprentice experience. Whether this is making sure their college curriculum is aligned with the needs of their employer, or ensuring that they receive the best possible career support from their institution, we prepare apprentices to make their collective voice heard across the college. The training lasts approximately 2 hours and is bookable for delivery by sparqs. See the Training for Apprentices webpage for further information, the materials and booking form. For further information on any of the above, please contact Morven Stewart.